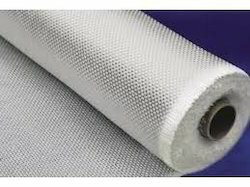 5 mil & 7 mil Dsize & sellen Treated For Insulation & Epoxy sheet Manufacturing. We are providing Fiber Glass Clothes, which are in line with the international quality standards. Their surface has been processed with chemical methods. Our range is mostly used as base material for copper clad laminate. This product is produced with many types of automatic precision machines like wraping-sizer, air jet loom, finish machine and rebeamer. 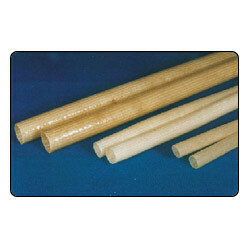 Our clients are offered with an extensive range of Fiber Glass Sleevings (Class-F) at the most competitive price range. Our vendors coat braided heat treated unvarnished sleevings that are with thermosetting polyurethane varnish to create class f insulation. Our range of these sleevings can be availed in various sizes ranging from 0.5mm to 50mm along with 1 meter length in 50 meters and 100 meters. These are widely used in electrical and heat instruments as well as A.C & D.C connections, insulation motors, transformers, coke ovens, generators, ships, blast furnaces, boilers, nuclear and thermal power stations. Our clients are offered with an extensive range of Fiber Glass Sleevings (Class B), that in line with the international quality standards. These are manufactured using non-alkali fiber glass sleevings at our vendor’s end. Our range is coated with varnish or various types of synthetic resin based, drying oil or other substances that are appropriate for class-b application. Apart from this our range can be availed in 0.5mm bore and are mainly used in induction motors, generators, transformers, ovens and other electrical instruments. Our clients are offered with a wide range of Fiber Glass Copper Cables that are offered at market leading prices. These have excellent heat insulation properties and are best suitable in A.C & D.C applications, transformers, coke ovens, generators, insulation motors, blast furnaces, boilers, ships, nuclear and thermal power stations. Its length ranges from 50 meters to 100 meters and these can be availed in standard colors like red, black, blue and yellow. We offer our clients with an extensive range of dielectric Fiber Glass Sleevings (Class-F) that is highly cost effective in nature. 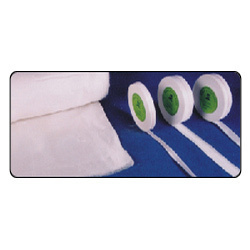 Our range possesses softness and can withstand very high temperatures. 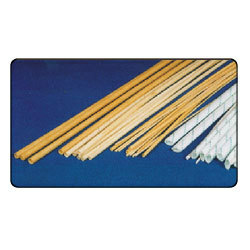 These are coated with silicon varnish, braided with non-alkali fiber glass yarn and are treated with high temperature. These special class H sleevings are used in a host of applications like aircrafts, high tension motors of cranes and other heavy duty equipment, induction motors, ships and alternators. Our clients can avail this item in a range of 1-25 mm bore diameter. We offer a wide range of Fiber Glass Unvarnished Sleevings that possesses high electrical insulation and is cost effective in nature. 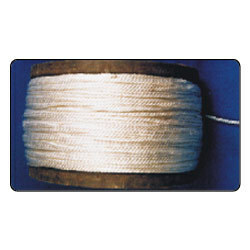 These sleevings has low alkali content and are closely braded with E-type fiber glass yarn. These products are known for low moisture absorption and displays high thermal conductivity, heat & fire resistance. Our sleevings can be used for continuous application at 350 C. Our range of fiber glass unvarnished sleevings are highly popular for manufacturing varnished fiber glass sleeving and are best suitable for class B, H and F insulation. 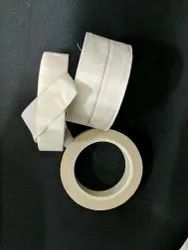 These are also used for manufacturing TV sets, ovens, electrical instruments, heating pads, heaters, medical instruments and domestic electrical appliances. 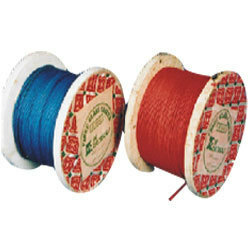 We offer our clients with a quality range of Fiber Glass Cords that are with high mechanical as well as heat resistant. 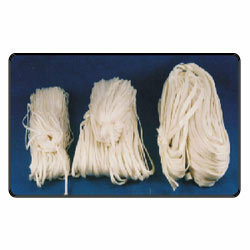 This E-type fiber glass yarn is twisted in a twisting cord and used for the manufacturing of fiber glass cords. 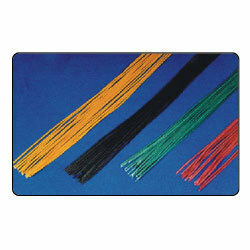 These are known as braided cords when it is braided on m/c 55. Our range is used to bind field coil with stator in various rotary machines like generators, electric motors, transformers and alternators and are supplied in varnish and unvarnished state. 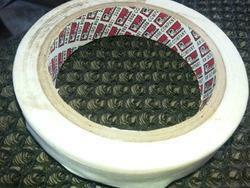 This is available in twisted form or continuous length wound on wooden reels. Looking for Fiber Products ?